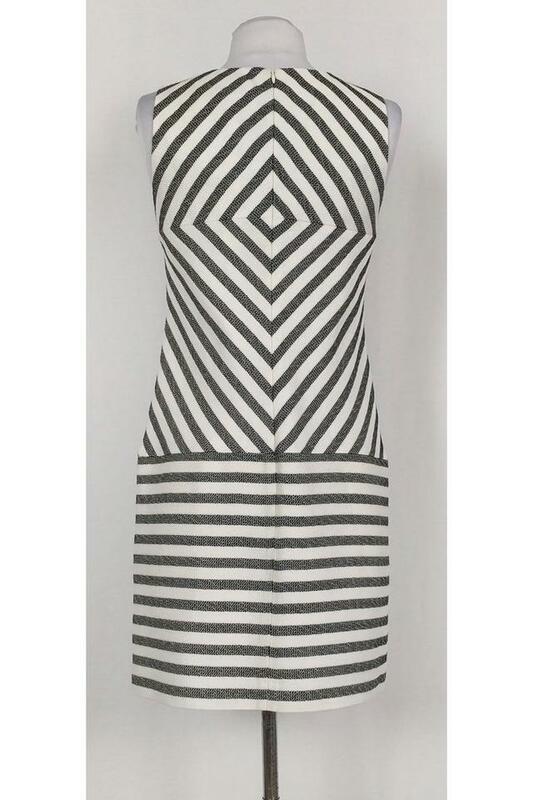 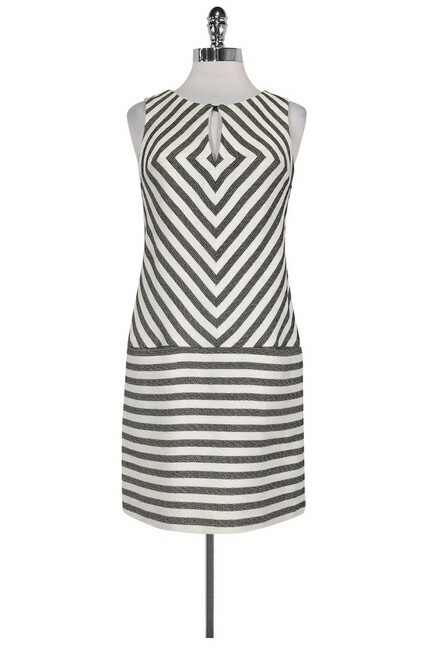 Stylish dress from Trina Turk. 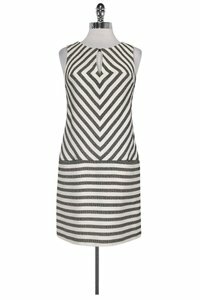 Metallic silver threads adorn the fabric and complement its bold striped print. 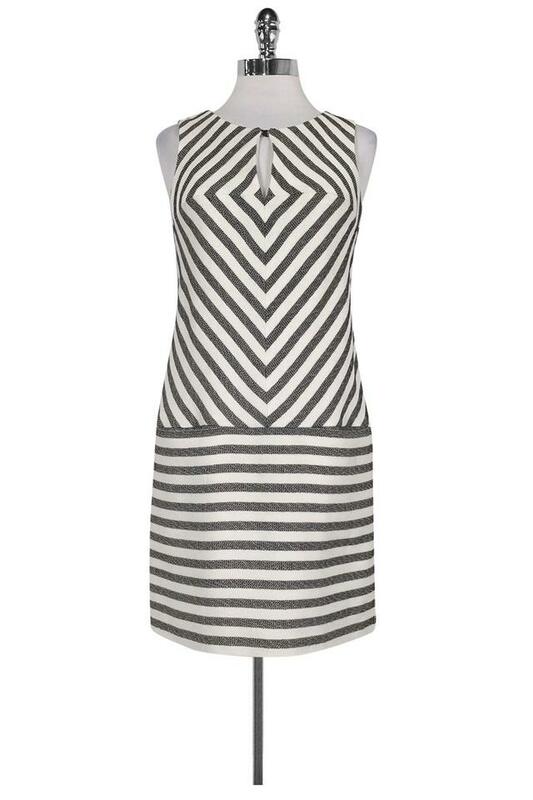 Made in a relaxed shift silhouette with front pockets for a chic touch. 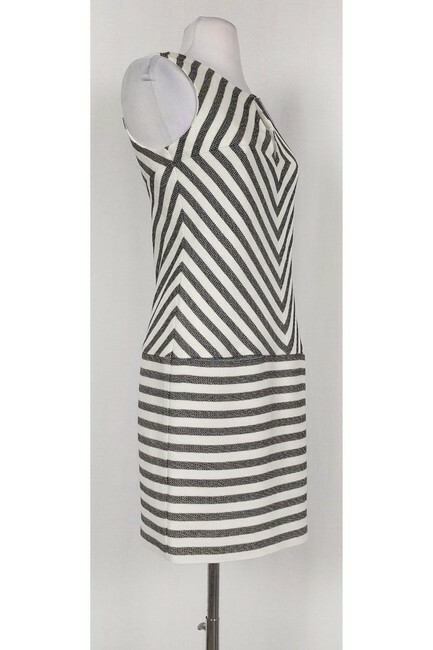 Looks great with a pair of red pumps!